When freeborn Jane Elizabeth Manning James came to Great Salt Lake City as one of its first settlers, she brought her eldest son Sylvester with her. Almost twenty years later, Sylvester James and his wife Mary Ann Perkins James welcomed their first child, William Henry James into their family. William was born in 1866 while his father and mother lived in the Salt Lake LDS First Ward. William’s mother’s family had arrived in Utah as slaves owned by Reuben Perkins. 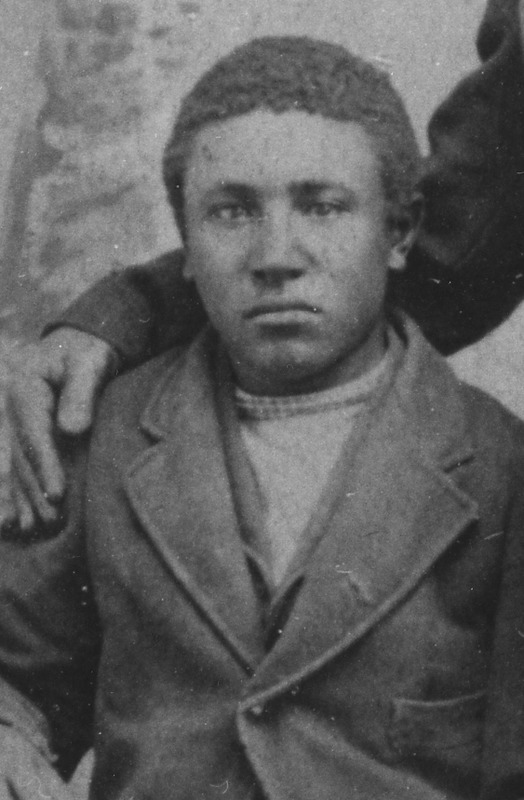 William was born just four years after slavery legally ended in Utah Territory. In 1888, William’s father, Sylvester James, bought farm acreage in Mill Creek and relocated his family to this agricultural community. On February 16, 1892, Sylvester James transferred part of his holding to his son, William. Eighteen months later William sold his land to his uncle Sylvester Perkins. It might have been at this time that William moved to southeast Idaho. The 1900 census listed William, who was single, living in the Gray’s Precinct of Idaho. The wilderness surrounding Gray’s Lake attracted a number of homesteaders around the turn of the twentieth century. Black settlers played an important role in transforming the region into productive ranches. William ranched near Abraham Flake, the son of 1847 Utah pioneer Green Flake. Green lived with Abraham at the end of his life and William likely also associated with both men. Salt Lake County Recorder. Abstract Book B-3 and B-9. United States. 1870 Census. Utah Territory, Salt Lake County, Salt Lake City, First Ward. United States. 1880 Census. Utah Territory, Salt Lake County, Salt Lake City, First Ward. United States. 1900 Census. Idaho, Bingham County, Gray Precinct. United States. 1920 Census. Idaho, Bonneville County, Gray Precinct. Utah State Board of Health. Office of Vital Statistics. James, William. Certificate of Death. File No. 985. Utah State Archives, Salt Lake City, Utah. Carney, Ellen. “Blacks Were First to Settle Idaho’s Grays Lake Valley,” Idaho State Journal, 3 March 2013. Reiter, Tonya. “Life on the Hill: Black Farmers and Their Families in Mill Creek, Utah.” Journal of Mormon History 44, no. 4 (October 2018): forthcoming. Salt Lake County Recorder, Abstract Book B-3, page 259, line 1. Sylvester James purchased his land form Henry C. and Caroline Brooks Jones. He sold his son the four acre piece for $300. Salt Lake County Recorder, Abstract Book B-9, page 54, line 13. United States, 1900 Census, Idaho, Bingham, Gray’s Precinct. Ellen Carney, “Blacks Were First to Settle Idaho’s Grays Lake Valley,” Idaho State Journal, 3 Mar 2013. United States, 1920 Census, Idaho, Bonneville, Gray Precinct. Tonya Reiter, “Life on the Hill: Black Farmers and Their Families in Mill Creek, Utah,” Journal of Mormon History 44, no. 4 (October 2018): forthcoming. William James, death certificate, Utah State Board of Health, Office of Vital Records, File No. 985, Utah State Archives, Salt Lake City, Utah.